Once one has lived in DC long enough, she (or he) can become inured to the fact that most of our museums are free. Free! I know this can be obnoxious to those who do not live in DC and are secretly jealous. Well, don’t cry. 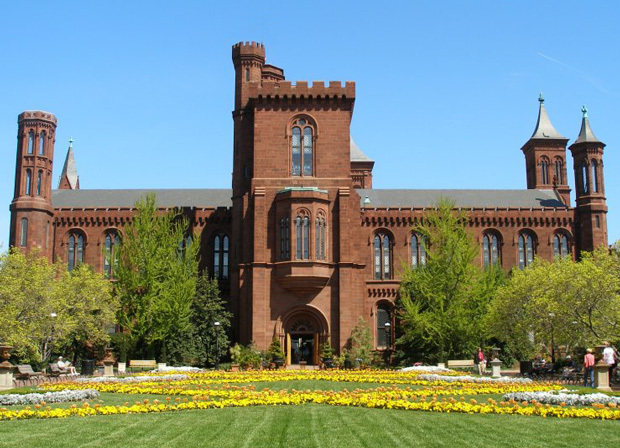 This Saturday, the 25th, is the Smithsonian Magazine’s sixth annual Museum Day. Participating museums are giving out free admission for two on the website. This is only for one day and is a poor excuse for not having free culture available all the time, but hey, at least it’s free! DC is nice that way. Have a free half-hour between appointments in Chinatown? Stop into the Portrait Gallery to see the new exhibit or just hang in the sunny atrium. Walking around the Mall? Sit down in the shade in the Hirshhorn’s sunken sculpture garden and oogle a Rodin. And of course the museums are good for destinations as well. I try to make time to go stare at the National Gallery’s Leonardo da Vinci (the only one in the Western hemisphere) once every month. Just to stare at those non-existant brush strokes. Amazing. Besides the free entrance during the day, there are after-hours parties at these museums…for a fee. The Phillips, the Hirshhorn, and the Freer Sackler all have parties monthly or so. It’s an opportunity to hang out with other fabulous, culturally-minded DC residents. And have some mildly cool Chardonnay.